Facebook has a review system like many other modern web platforms: you can log in to your account, click on some stars, and post a custom written review for the world to see. But Facebook’s review system is flawed. Using a very simple loophole, any competitor, angry customer, or coward can post a review and cause the review median star rating to move down without knowing who posted the review. Basically what this means is that Facebook users are able to leave a 1 star review for a Page, mark it as “only me” and publish it which will cause the review average to go down without the page owner to be able to see who left the review. Facebook’s commitment to privacy has left this social vulnerability wide open. Change your page from a local business to another category. 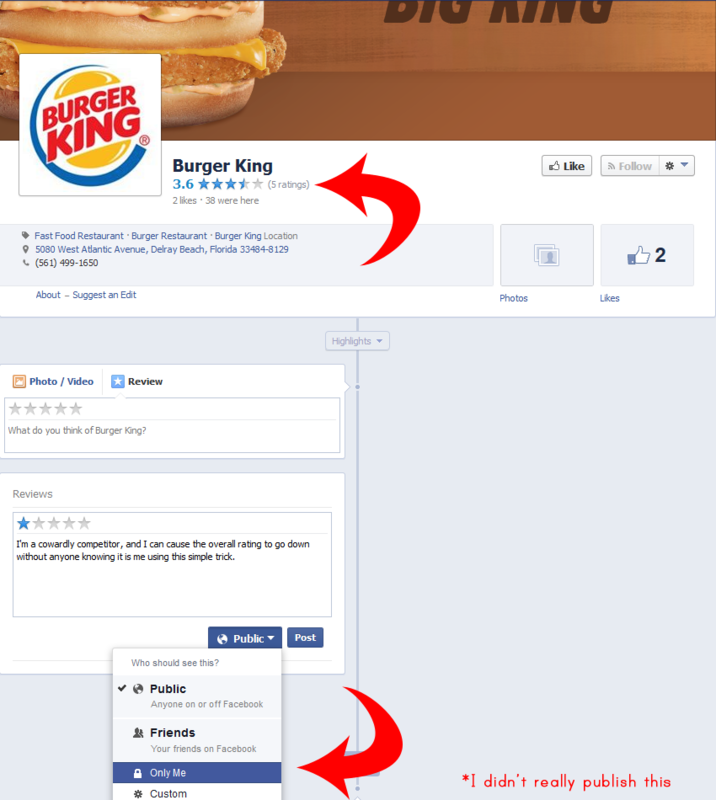 This will remove the star rating completely from your Facebook business page.